Things sure have changed since teaching middle school! I am quickly realizing that many of the things that were just fine to wear to teach in 7th grade just don't quite cut it in 2nd! The other day during circle time, I became aware of just how short my dress was when I sat down in front of 26 sets of 7 year old eyes! Another day I needed to get down on the rug to do a small group and my heels were stabbing me, so off they went! I have been trying to look the part without looking like I am dressing down and it has proved a little tricky! This was my first day with kids dress and it was glorious, mostly because it has pockets! I love this dress SO much! It was comfy and long enough, just right! This day came together pretty well for a last minute wardrobe change! That's all for this week!! Happy back to school dressing! You gotta love a super simple craft. I have had this one sitting around for a few weeks with no time to work on it! I found this adorableness on Etsy and thought, I could try that! Then one day on my favorite little boutique site, similar unfinished arrows showed up. I have been looking for a while for something to fill up the skinny wall on the way out the back door, but could never settle on anything. So when these super cute arrows showed up for $6 for a 3 pack, I didn't hesitate to throw throw those in my online shopping cart! I ended up having to stay home with my sick Kellen on Monday and I decided it be a fun and quick project and it totally was! 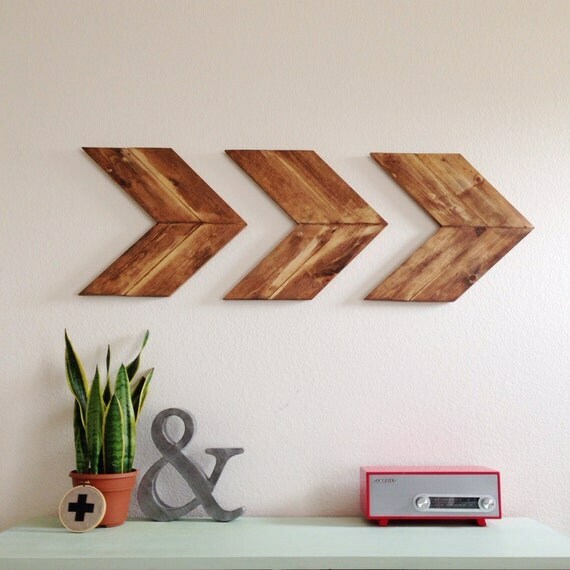 You need: unfinished wooden arrows, paint or stain, and a paint brush. The bare basic for this one! Then I just had my mister hang them with finishing nails. They came out so cute and I love them! Kellen walked in this afternoon and said, "Why do you just keep making everything pretty, mom?" Because, it's what I do son, thanks! My big day fell on a Sunday so really it was a birthday weekend! We had big plans to go camping, but the weather was supposed to be rainy and the night time low was like 35, so I chickened out a little and we ended up just spending the day in the mountains. We drove a pretty short way up to Morrison and hiked Lair O' The Bear. We did not see any bears, but it was pretty magical! The weather was crisp and cool and perfect, but warm in the sun. The kids had a blast running through the woods, climbing on things and splashing in the creek. Perfection! Plus Kellen hiked the entire thing and did not ask to be carried once, win! After our hike we had a late lunch at the Morrison Inn, this super cool Mexican restaurant in town. They have an amazing roof top deck and we had yummy food and margaritas and listened to love music. It was a little bit of a flashback to Nashville, but with the kids! Later that night we busted out the fire pit, per my request, and made smores!! Sunday morning was a special treat, Callie made us breakfast in bed! This girl can cook! The rest of the day was spent hanging out and barbecuing with my sweet family! Such a wonderful birthday weekend!! All my favorite chicks were there, minus a few! Brien attempted to spread out my candles in an effort to stifle my wish. Ha! I had Kellen and Callie's help! And these pics of my pretty much sum up our relationship! She is SO fun!! Thanks for birthing me mom! Ending summer and starting school has been an interesting transition in the wardrobe department. I definitely don't need my high, high heels and my pencil skirts so much in elementary. But it is so funny to hear their 2nd grade compliments. The other day I wore a side braid and I had three kids tell me that I looked like Elsa from frozen. They are too cute! That's it, the last of the super fun summer days when I didn't have to get dressed up! Happy back to school and dressing up a little more professionally! I found some amazing things this trip and I probably would have come home with more except there were some things that didn't fit quite right! Mint green khakis: Gap-- $6.99 I already have a pair of mint green pants but they are made of corduroy and are super hot, so these will work great for fall and spring! I also found Callie a bunch of dresses and skirts that she is so excited about, but I forgot to take pictures of them and now they are buried in the laundry. Another great score for the last trip of the summer! !